When you make a reservation for an apartment (or any other type of accommodation), you will be asked to complete online forms providing for: your name, (home or office) address, (business or private) email address, (mobile, home or office) telephone number, credit card details (i.e. credit card type and number, CVC code, expiration date, credit card holder name) and to the extent available, reservation preferences and smoking preference. This information is required to process, book and complete your reservation (including the sending of a confirmation email of the booking to you). Reservation enquiries: For the purposes of completing your booking and save for disclosures required by law, criminal investigations, subpoenas or court orders, we will only disclose your name, contact details and the credit card details to the relevant apartment provider with which a booking is made. However, please note that from time to time, we may use third party distributors which provide certain services and functions for and on our behalf. These third party distributors may have access to (part of your) personal information in order to perform their services and functions, but are subject to a confidentiality obligation pursuant to which they cannot use, share or disclose the information for any other purpose. Newsletters and other information: If you wish to subscribe for our newsletter or wish to receive promotional communications or other information from us (in respect to our affiliated companies' or business partners' products or services), we offer you the option to "Opt in" for this service. If you no longer wish to receive our newsletter and other promotional communications, you can simply click on the unsubscribe link available at the bottom of each email. Visitor's registration, log in and use of "cookies": For (improvement of) our service and product, we use (temporary and persistent) cookies, authorised third parties cookies and/or other technologies to collect non-personally identifiable data such as IP address, browser type and Internet Service Provider (ISP) and (for users of our service through a mobile device) Unique Device Identifier, Operating System and Latitude/Longitude (the "Non-PII"). This non-personally identifiable data helps us to track browsing behaviour, to create specific or tailor-made offers or advertisements, and to monitor and record the visits and use of our website(s). A cookie is a small file which asks permission to be placed on your computer's hard drive. Once you agree, the file is added and the cookie helps analyse web traffic or lets you know when you visit a particular site. Cookies allow web applications to respond to you as an individual. The web application can tailor its operations to your needs, likes and dislikes by gathering and remembering information about your preferences. We use traffic log cookies to identify which pages are being used. This helps us analyse data about webpage traffic and improve our website in order to tailor it to customer needs. We only use this information for statistical analysis purposes and then the data is removed from the system. Overall, cookies help us provide you with a better website by enabling us to monitor which pages you find useful and which you do not. A cookie in no way gives us access to your computer or any information about you, other than the data you choose to share with us. You can choose to accept or decline cookies. Most web browsers automatically accept cookies, but you can usually modify your browser setting to decline cookies if you prefer. This may prevent you from taking full advantage of the website. The table below lists the cookies used by this website and provides a description of how each cookie works. APISID appear to include a mixture of pieces of information to measure the number and behaviour of Google Maps users. CONSENT A suite of Google analytics tools, to help Google and OpenPASS build a profile for visitors to our website. Google does not identify individuals via its Analytics, Adwords and Adsence tools. NID These cookies are used by Google to track usage of and enable their Google Maps functionality. 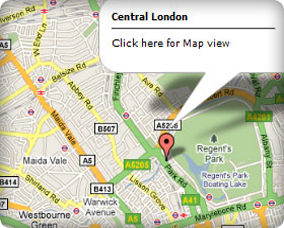 SAPISID Used by Google to store user preferences and information of Google maps. SID These cookies are used by Google to track usage of and enable their Google Maps functionality. ga Registers a unique ID that is used to generate statistical data on how the visitor uses the w website. OGP These cookies are used by Google to track usage of and enable their Google Maps functionality. You may request details of personal information which we hold about you under the Data Protection Act 1998. If you would like a copy of the information held on you please write to info@short-lets.co.uk. When does Short Lets send you emails? After you have made an enquiry, you will receive a confirmation message with all the information about your enquiry. Once the apartment / hotel provider has confirmed availability and prices we send you an confirmation email and instructions how to place your booking. Shortly prior to your arrival date we may send you an email which may include information on your destination and may provide certain information and offers (including third party offers to the extent that you have actively opted in for this information) relevant to your booking and destination. To the extent that you have "Opted in" you may receive our newsletter or other information from time to time.